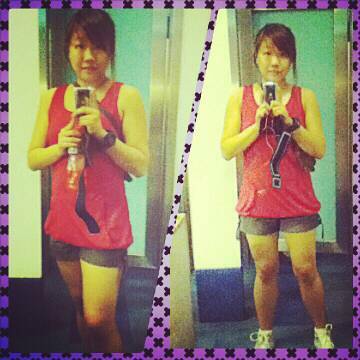 Today marks the day of my first jog for 2013. Also, today is the arrival of SNSD ( girls generation ) in the Philippines for their concert, thus the title. Though, SNSD has completely nothing to do with this post, lol. I'm so random. What I love most about running is not sweating or losing weight ( IF EVER i lose weight ;) ) but having time to just empty myself and think about my life, what I've accomplished so far, where I currently am, and where I am going. Losing weight is always hard to do.